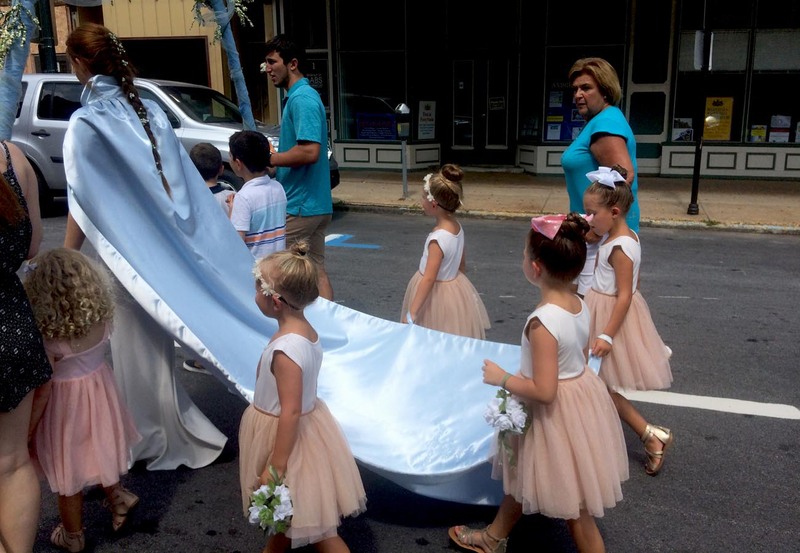 Queen of the Procession Alena Boyer of Wilmington, Del., walks in the parade with her young attendants following. The procession heads to the streets of West Chester from St. Agnes Church. 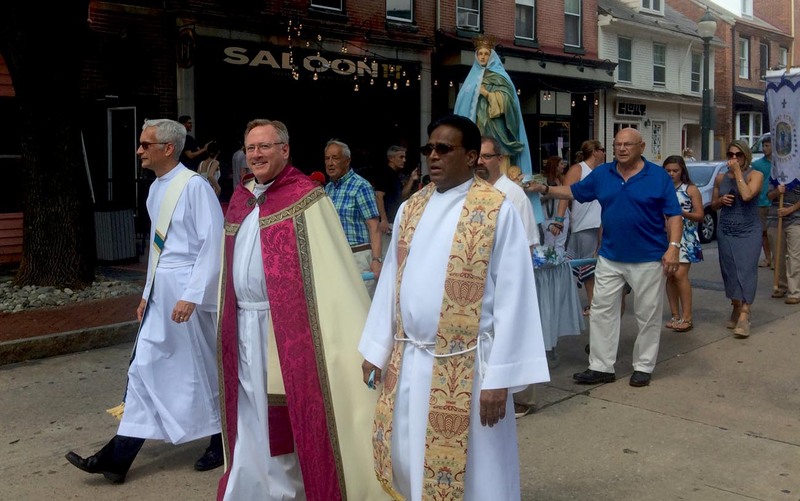 Father William Donovan (center), pastor of St. Agnes Parish, joins other clergymen in the street procession. 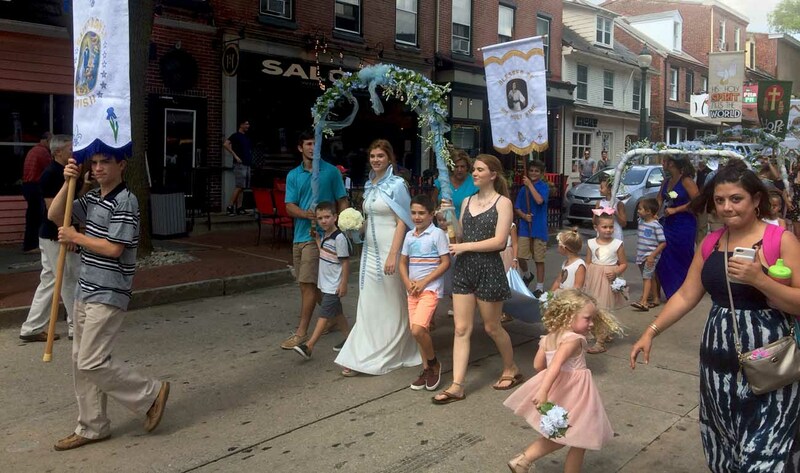 Alena Boyer leads the parade. 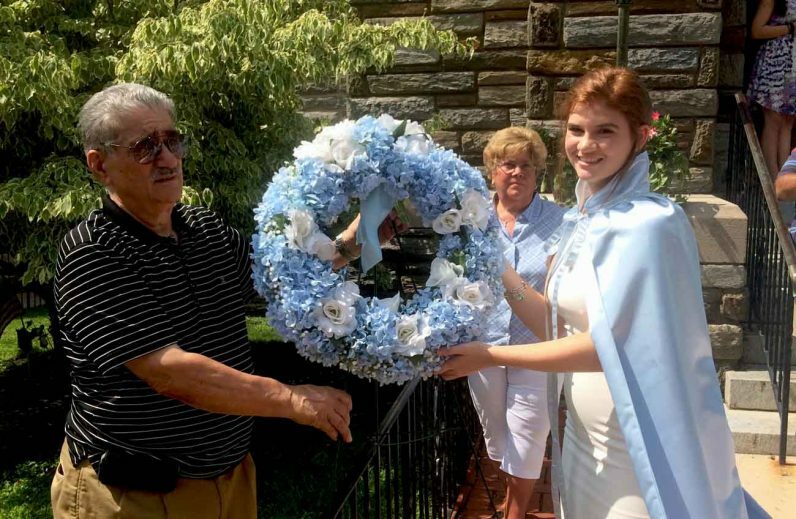 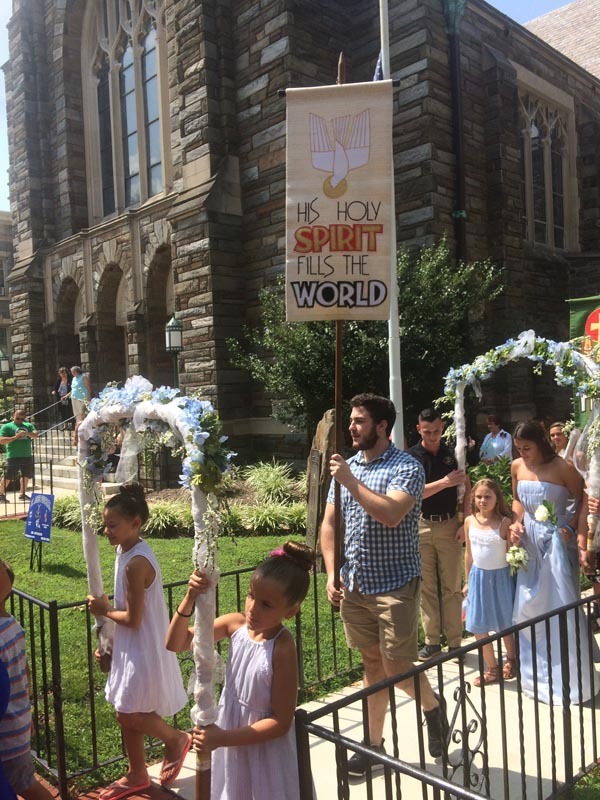 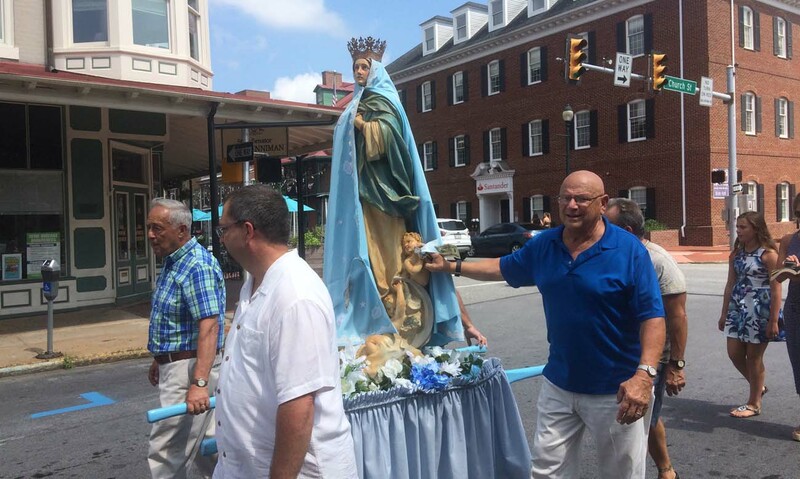 Alena boyer and her family proudly show their devotion to Mary in the annual Assumption parade. 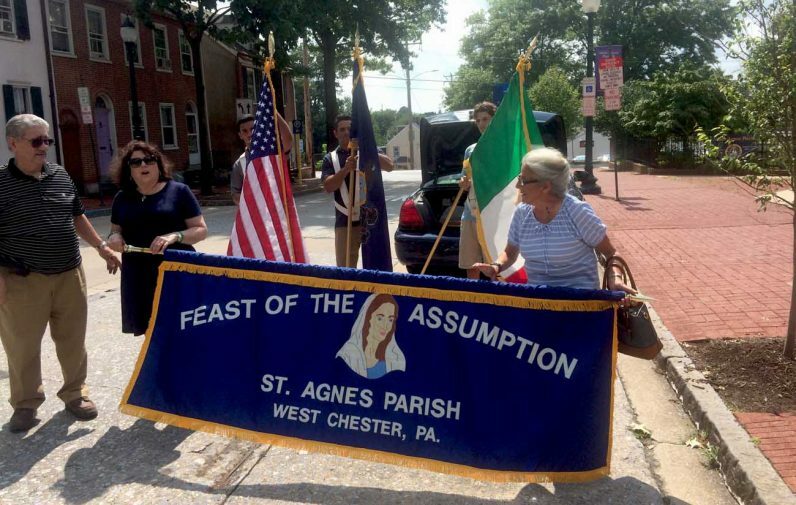 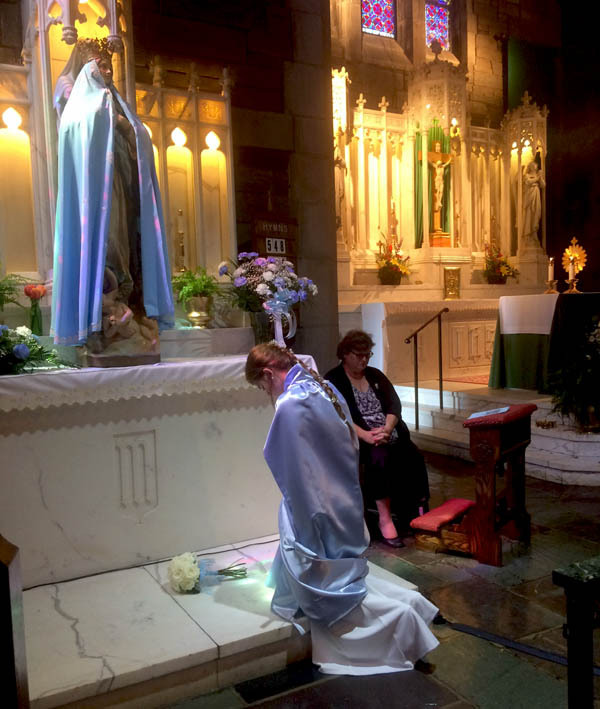 Alena Boyer leads the faithful in St. Agnes Church in a moment of prayer to Mary after the procession.